WHERE IS MY DELICIOUS CAKE & DECORATING SUPPLIES? My Delicious Cake & Decorating Supplies is based in Bibra Lake South of Perth. IS THERE A SHOP WHERE I CAN BROWSE AND DO MY SHOPPING? IS THE MY DELICIOUS CAKE & DECORATING SUPPLIES WEBSITE SECURE? Most definitely! The security of data on our website is of major importance to us and we have done everything we can to secure the data on our website and ensure your sensitive information like credit card details aren’t compromised. IS IT SAFE TO USE MY CREDIT CARD ON https://mydeliciouscakes.com.au? Like data security, credit card security is incredibly important and we have worked very hard on acheiving the most secure and reliable credit card facitlity we could find. To ensure your online shopping safety we have a secure payment gateway with PAYPAL. You will notice that in the address bar of your browser, there is a padlock next to our internet address, this is your assurity that our entire website and not just our checkout, is secure and safe for you to use everyday of the week 24 hours a day. DOES MY DELICIOUS CAKE & DECORATING SUPPLIES SEND CONFIRMATION & STATUS EMAILS? Yes we do. 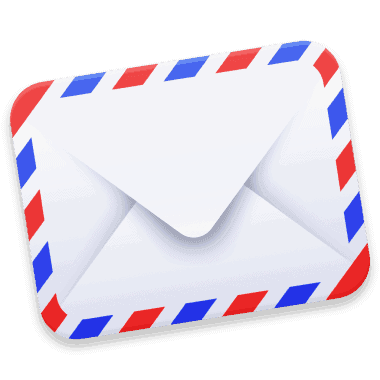 If you have not received any emails from us, please check your SPAM/JUNK folder if you are using a free email client like Gmail, Outlook or Hotmail. On the odd occasion the email may be classed as spam/junk. Once you select that the email is not spam/junk, all emails should be redirected into your inbox. If you do not receive any confirmation emails from us after placing your order, please email us directly to info@mydeliciouscakes.com.au. Yes, absolutely! You can collect your order from our store in Bibra Lake. Once your order has been picked and ready for collection, you’ll be sent an email notifying you that your order is ready to be collected. DOES MY DELICIOUS CAKE & DECORATING SUPPLIES ACCEPT SPECIAL ORDERS AND BUY-INS? Absolutely! If there is something you have been looking for but cannot find it in the store please email info@mydeliciouscakes.com.au with the details of the item you are after and we will endeavour to find it for you. You never know we may already have a supplier for the product you’re looking for! Whatever it may be big or small please ask and we will do our best to source the items for you. Products that have been especially ordered in may require a deposit to confirm your order, however we will provide the details during the quote process. Special orders may also incur a freight surcharge if the products are over our weight & size restrictions. If your special order incurs a freight surcharge this will be included in your quote prior to ordering. WILL I BE ABLE TO TRACK MY ORDER ONCE IT HAS BEEN DISPATCHED FROM MY DELICIOUS CAKE & DECORATING SUPPLIES? Yes you can. Once your order has been shipped your order status will change from processed to shipped and will include a tracking number. Orders are not insured unless you have selected the additional insurance option during check out. An email is sent upon dispatch which will include your tracking number and which freight company is handling your order. This is generally sent at the end of the day. We do recommend that you take the out the additional insurance option on your order as this gives your parcel added security as My Delicious Cake & Decorating Supplies will not be held responsible for uninsured parcels that are lost or damaged. WHAT IF MY ORDER IS DAMAGED OR LOST DURING TRANSIT? Rarely do items become lost or damaged during transit however it can happen and if this is the case your first point of contact is giving us a call or sending an email explaining the issue and we will be in touch with you to resolve the lost parcel or replace damaged stock. We use reputable couriers & Australia Post for our deliveries and lost parcels or damage during transit are very rare. DO MY DELICIOUS CAKE & DECORATING SUPPLIES STOCK A WIDE VARIETY OF ALLERGY FRIENDLY CAKE DECORATING PRODUCTS & INGREDIENTS? Most definitely! We are very proud of our range of Allergy Friendly products & decorating ingredients: Well & Good Cake Mixes, Hopper Natural Food Colours & Sprinkles and we are researching and sourcing new products all the time. IS IT SAFE TO BUY PRODUCTS THAT ARE PAST THEIR BEST BEFORE DATE? Yes. According to the Australian and New Zealand Food Standards Authority, it is perfectly fine to sell and purchase food products that are past their best before date as long as it is fit for human consumption. Example; colours, sprinkles & fondant are fine for us to sell when they are past their best before date however they may or may not perform as expected when they are within their best before period. It is up to you to use your discretion when purchasing & using these products. Please note, we will not sell items that are obviously spoiled so you can assure that the clearance products are fine to purchase as we would not list them if we weren’t prepared to use them ourselves.